How does the exchange of exports and imports affect two nations with distinct economies? Dynamic economic analysis can capture the varying impacts caused by international trade. 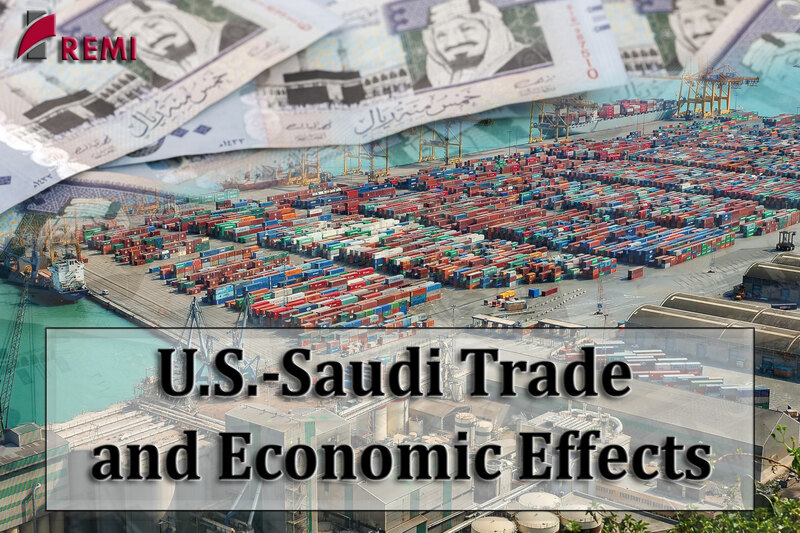 REMI cordially invites you to our webinar presentation on Wednesday, February 6th, 2019 from 2 to 3 p.m. EST when Senior Vice President Billy Leung will assess one example of bilateral trade – the flow of natural resources, finished goods and services between Saudi Arabia and the U.S.
For this webinar, Mr. Leung will simulate the economies of the two nations through dynamic modeling, and use the model results for each country to highlight trade implications for their respective economies. He will assess the total value of trade on both countries and describe the methodologies behind this analysis.